Every time that I participate, it gives me energy. It is nourishing as well as regenerating to work with young people. I have an amazing job! I am always excited to discover new talents, and I love trying to guess where the dancer comes from. 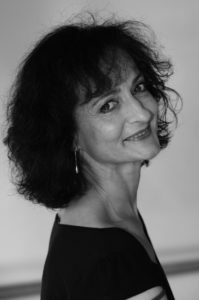 Member of the Corps de Ballet of the Paris Opera since the age of 16, Monique Loudières was chosen by Rudolph Nureyev in 1981, to interpret “Kitri” in his production of Don Quixote. Rosella Hightower, then Artistic Director , named her “Etoile” ballerina in 1982. Thereafter, she danced most of the classical and neoclassical repertory. She had a predilection for dramatic heroines from the following ballets: Giselle, Romeo and Juliet, Manon, Notre-Dame de Paris, Eugene Onegin. In 1993, the Ministry of Culture awarded her the Grand Prix National de la Danse and named her Commander of Arts and Letters in 1996. In 2001, she was appointed Artistic Director of the Cannes Rosella Hightower Ballet School . In November 2007, she created her own version of the ballet Giselle with the Cannes Junior Ballet and Ballet of Nice and Avignon.